Eric Cantona 1994 FA Cup Final signed shirt. Either Signed on the front or back. Please comment on order which you prefer. We are able to offer a great chance to own a fantastic piece of memorabilia, signed by Le King, the one and only Eric Cantona.The shirt is a retro 1994 FA Cup Final shirt which is signed by Eric himself and will come with a certificate of authenticity. The 1994 FA Cup Final was the 49th FA Cup final to be held since the Second World War and was contested between Manchester United and Chelsea. 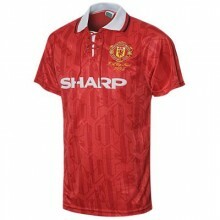 United went into the final as Premier League champions, having won the title by eight points over Blackburn Rovers. They were bidding to become only the fourth team of the 20th century to complete "the Double" and the first in their own history. Chelsea, on the other hand, were playing in their first FA Cup Final since 1970 and first major final since the 1972 Football League Cup Final; they also finished 14th in the Premier League. In the second half, Manchester United took over with three goals in the space of nine minutes; two almost identical penalties by Eric Cantona and a shot by Mark Hughes, following a slip by Chelsea defender Frank Sinclair. 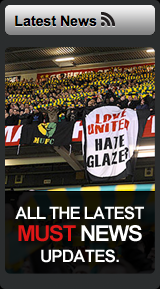 Brian McClair scored a late fourth following an unselfish pass by Paul Ince. 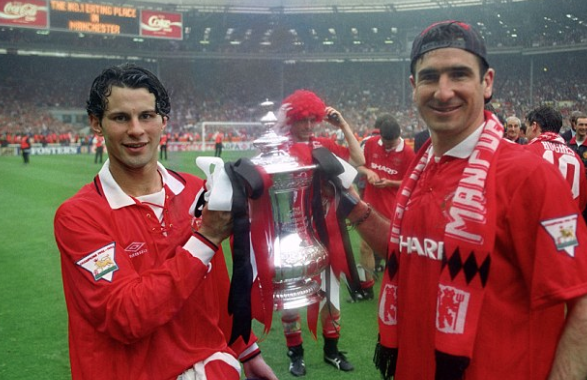 Eric Cantona & Ryan Giggs pose with the FA Cup at Wembley. Cup Final and that is as good a goal as you can wish to see." I've waited for this signed shirt to become available for a long time as Eric is a real hero to me. The shirt and frame are just the ticket but the choice of 3 photos a the bottom is poor. Two out of the three, although a decent shots in themselves are pretty much exactly the same but the third with Eric in a red fuzzy wig just ruins the whole thing. It's not classy or cool unlike the man himself.